I’ve written it before and I’ll write it again: Modern rock music is ruled by women. From heavy hitters like Savages and Sleater-Kinney to experimentalists like St. Vincent and Bjork, the dominance of the all-female band is indisputable, and that’s without mentioning gender-mixed groups with female singers. There’s no denying the superstardom of acts like Heart and Joan Jett’s The Runaways. These bold and brash rockers helped elevate music executives’ terrible tendency to restrict women to bubblegum pop, blue-eyed soul and anything needing a gentle touch. So while the ‘70s certainly didn’t invent the famous woman musician, it did put a spotlight on the few trying to break out from expectations and shimmy into the “grab-your-crotch-and-thrust” type of rock. Ace of Cups – "It's Bad For You But Buy It"
The ‘60s has plenty of women singers to point at, but few know of the San Francisco all-female rock band Ace of Cups — though any group with no official albums or real professional recordings is fairly hard to remember. 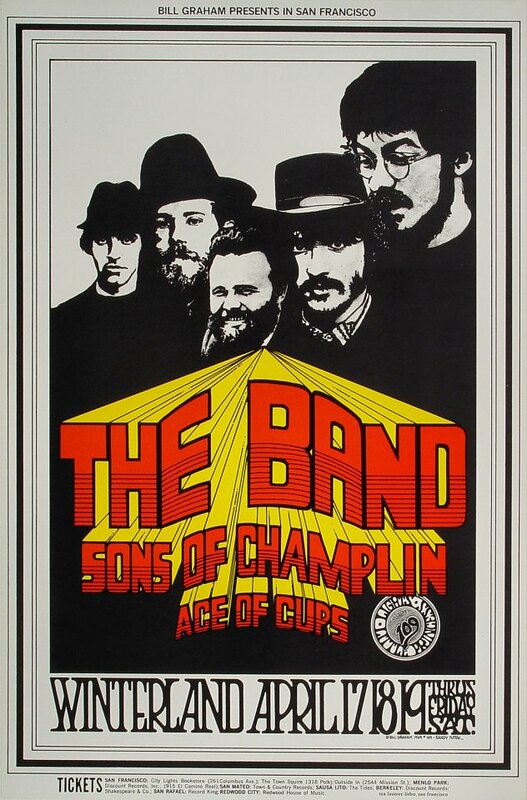 Even without a legitimate record contract and discography, Ace of Cups garnered minor praise from Jimi Hendrix, played at the infamous Altamont Free Concert and was an opening act for The Band’s first concert in 1969. These are no small feats considering the ‘60s was starkly void of anything resembling the Internet and its ability to give independent groups a platform. The 2011 release of Ace of Cups’ slight collection of demos, rehearsals and live songs named “It’s Bad For You But Buy It” is the only music readily available from them. It’s a rough and unhinged listen and much of the songs feel unfinished, but anyone remotely interested in music history needs to check it out. Had Ace of Cups allowed a solid producer and substantial studio time, the sketches of brilliance on “It’s Bad For You” could have fruited a bonafide hit. The song “Looking For My Man” is a sprawling mini-epic that crashes through multiple meter changes and jams, all the while featuring the bombastic vocals of every group member. The basslines on “I Wanna Testify” have the words “hit-maker” painted all over them and the infectious chanting could spark riot. “Boy, What’ll You Do Then,” a Denise & Company track unearthed by the 2011 compilation, is the real gem on the album. Despite it only featuring one Ace of Cups member, Denise Kaufman, this 1966 track is one of the earliest recordings of anything resembling punk I have ever heard. Kaufman’s gristly snarls and shouts are a threat to the entire lineage of proto-punk and its crowned kings. Not only did a woman predate many of the punk pioneers, but hey, she might’ve even done it better. As Ace of Cups fizzled away in the late ‘60s, the metaphorical torch of rock was passed on to another forgotten all-female band — Fanny. The difference this time around however, is that Fanny was a label cultivated act brandishing the typical ‘70s overproduction and middle-part hair styles. In a lot of ways, Fanny is the polar opposite of the Ace of Cups’ San Francisco pretentiousness that apparently stopped them from ever signing a record deal. This is why Fanny is both the first all-female rock band to release an album on a major label and the first to have a Top 40 hit — which are incredible achievements that should be remembered. Never mind that the band's entire early catalog is solid, “Charity Ball” alone has enough sturdy tracks to solidify Fanny as real rock players. The track “Cat Fever” is laced with glam-rock momentum and charging power chords. “Special Care” has a coat of Southern grit and grime painted over its grandiose moments that give way to high-flying guitar solos and wailing vocals. Fanny plays a kind of boastful rock that proves it was aware of just how powerful a group of female rock idols could have been in the early ‘70s. And it’s this exact sentiment that makes the band’s descent into obscurity much more shameful. But try to forget that Fanny consists entirely of women for moment and just listen — this is truly great music. I’ll probably never consider Fanny or Ace of Cups to be revolutionary acts based on sound alone. The majority of both bands’ music is fairly run-of-the-mill as far as inventiveness goes, however these groups’ importance as women cannot be understated. In other words, Fanny and Ace of Cups didn’t innovate for a genre, they innovated for an entire gender - an achievement with far more gravitas.